Add Roma high end collection to your dining room, manufactured by Italian brand Camelgroup. 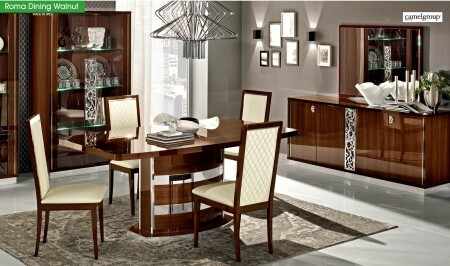 Roma dining room set offers contemporary style. 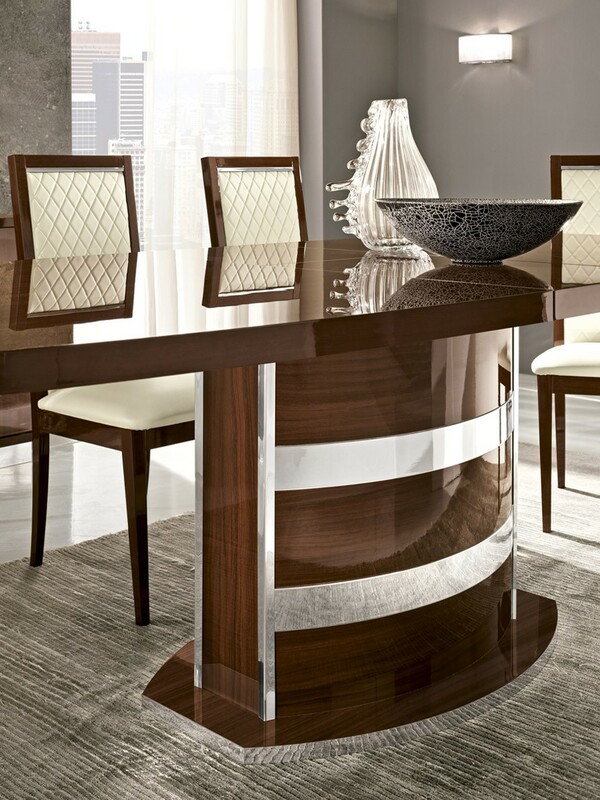 Table offers eighteen inch extension and stands on large pedestal leg accented with chrome. 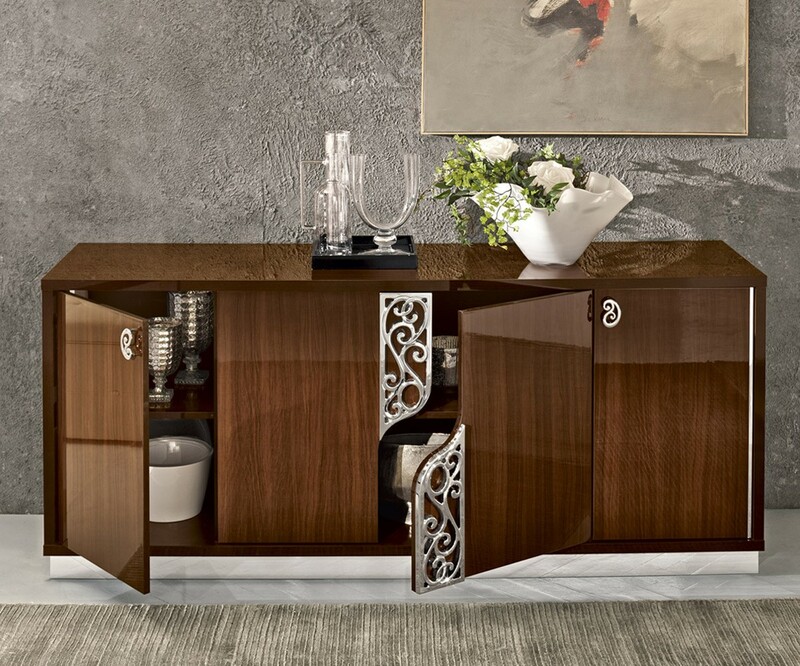 All the pieces including two door curio and four door buffet feature solid wood walnut finish and stands on chromed base. 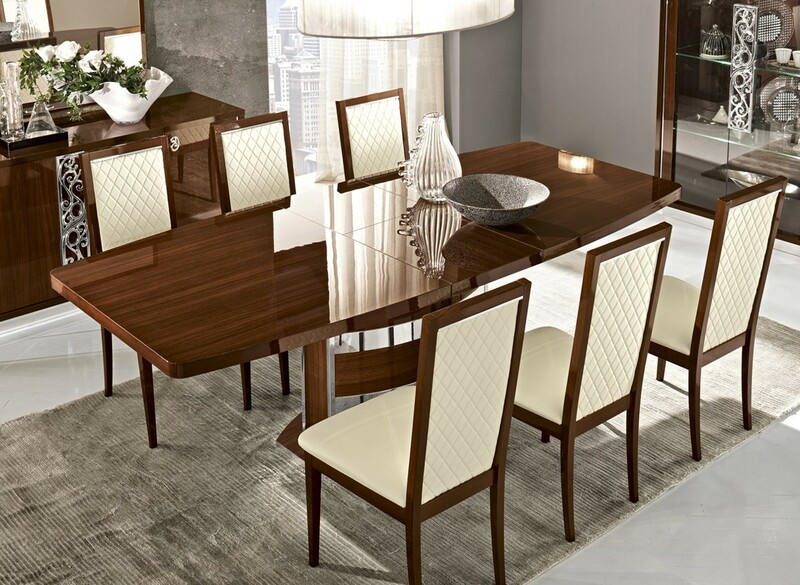 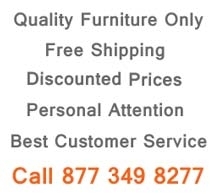 Comfortable white upholstered dining chairs offers cushioned seat and back completed by matching walnut solid wood frame.